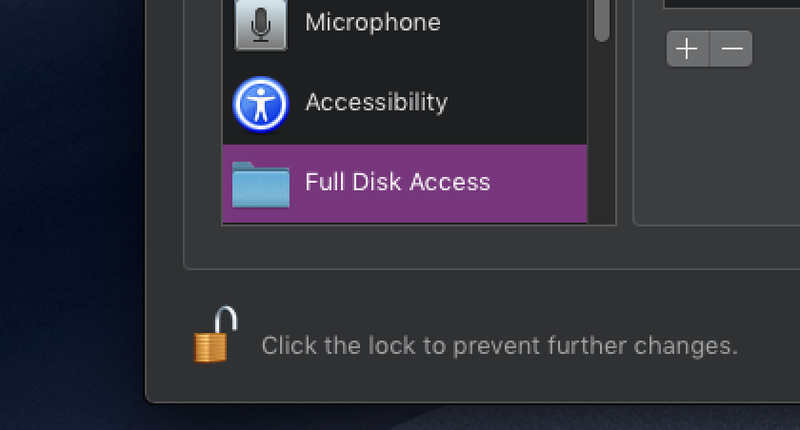 What's the Difference Between Accessibility and Full Disk Access App Permissions in Mojave? Home / Tips and Tricks / What's the Difference Between Accessibility and Full Disk Access App Permissions in Mojave? MacOS recently started using an Android-like permissions system, where apps need to be addressed. Two of the most permissive options are "Accessibility," which grants access to "control the computer," and "Full Disk Access," which sounds like it does the same thing. They're listed separately in security settings, though, so what's the difference? Accessibility is the more common and allows an app to control and listen to the outside of its own container. This is often used for apps that extend system functionality or run processes in the background, such as productivity apps like Alfred. The reason it's locked down is that the same permission could also be used for malware that listens to keystrokes or spies on your behavior. You do not have to worry though, because that's the exact reason this system is in place; if you accidentally run a malicious application from a non-trusted source, you'll have to spy on it manually. And so long as you do not do that, you'll be fine. Full Disk Access is a little different and does not quite mean complete access to your drive. Certain apps like backup solutions, virus scanners, and hard drive cleaners need access to scan all files, including ones locked down. It's just not marking you, it's just marking it app as trusted so that it can access your data. "Full Disk Access" permission. However, this does not give the application root access which would give it the ability to delete or modify the system files macOS uses to run. You will have to put in your password manually if an application wants to root access. If there's an app you'd rather not have access to your system, you can edit the password in the bottom right corner of the screen , since technically even System Preferences requires permission to edit your settings. If an app has requested your permission and didn't click the box next to the app or remove it altogether with the "-" button. you can manually enable it by adding the "+" button.